We are pleased to announce that Mr. Garland Pruitt of Choctaw, OK, has been selected as one of the 2016 winners of the Oklahoma Human Rights Award. Garland Pruitt was born and raised in Houston, TX. He moved to Oklahoma in 1974 where he attended the University of Oklahoma. He graduated in 1978 with a Bachelor’s degree in Social Psychology. Garland has been very active in his church as a deacon, Sunday school teacher, and mentor. His attitude in life is that everyone should be treated with equality no matter what your stage in life is. He is committed to his community and will stand up against injustice of any kind. For over 5 years he worked with FDIS as a counselor with youth on issues of family abuse, low self-esteem, education, and societal adjustment. 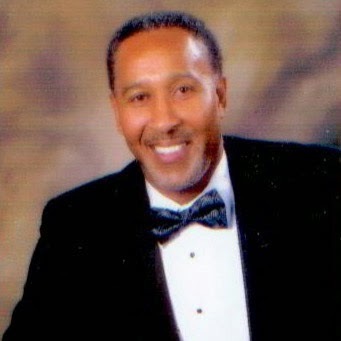 He has been president of the Oklahoma City branch of the NAACP since 2010 where he works to ensure the political, educational, social and economic equality of minority group citizens of the United States and eliminate race prejudice. Garland Pruitt is concerned for all people of this world, and he will stand up for what is right – whatever your race, religion, or creed. He believes that we are all of the human race, and we deserve to be treated fairly and justly, and this has been his mission as a decent human being fighting for all humanity. NAACP – Thurman Marshall Award, 2000. Kiwanis Club 2005-06 Human and Spiritual Values Award. Omega Psi Phi Fraternity recognition of leadership and volunteering to the community of the greater Oklahoma City area. APRI – A. Philip Randolph Institute 2003 Roll of Honor for many years of dedication, outstanding service, and distinguished leaders. 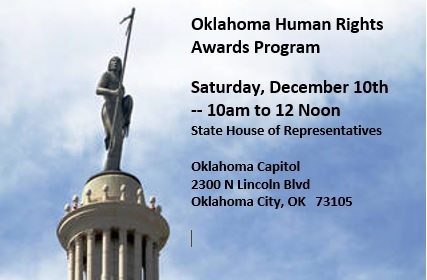 The public is invited to attend the presentation of the 2016 Human Rights Awards on Saturday, December 10th, in the House Chamber of the Oklahoma State Capitol. The program will begin at 10am. It will be emcee’d by former State Representative Seneca Scott. There is no charge to attend. Following the awards program, you are invited to enjoy a Free Speech Forum in the Senate Assembly Room from 12 Noon to 2pm. 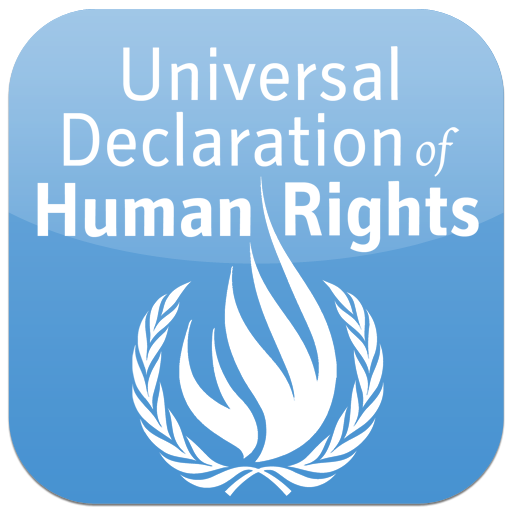 We are pleased to announce that the Dialogue Institute of Oklahoma has been selected as one of the 2016 winners of the Oklahoma Human Rights Award. 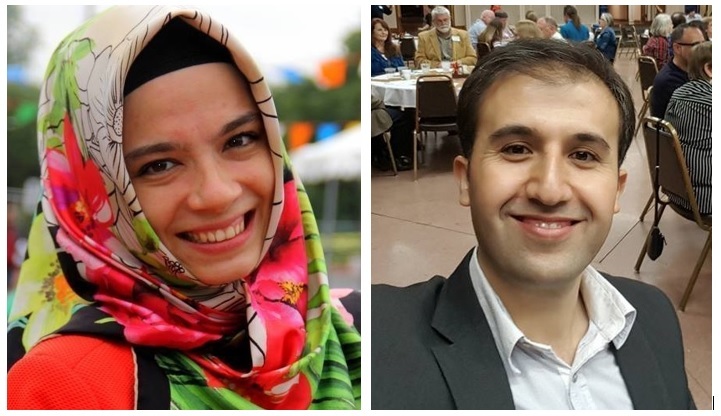 The mission of the Dialogue Institute is to promote mutual understanding, respect and cooperation among people of diverse faiths and cultures by creating opportunities for direct communication and meaningful shared experiences. The Dialogue Institute envisions a society where every person views and treats each other with dignity, people come around shared values to promote the common good of their communities as well as the world as a whole. For years, the institute has executed multiple inter-faith multicultural programs like Annual Friendship and Dialogue Dinner, Abrahamic Dinner, monthly scholarly luncheons, inter-faith academy, art and video contests for Pre K-12 students, early Thanksgiving dinner, international trips, book clubs and the Voices Against Extremism campaign.There are two branches of the Dialogue Institute in Oklahoma. The Tulsa Branch is led by Mr. Muhammet Ali Sezer. The director of the Oklahoma City Branch is Ms. Kuaybe Basturk. The leaders of this organization exemplify diversity and inclusion, and are without doubt, role model champions of human rights in the state of Oklahoma.